Not since stegobeetle has a massive metal animal this breathtaking graced our screens. 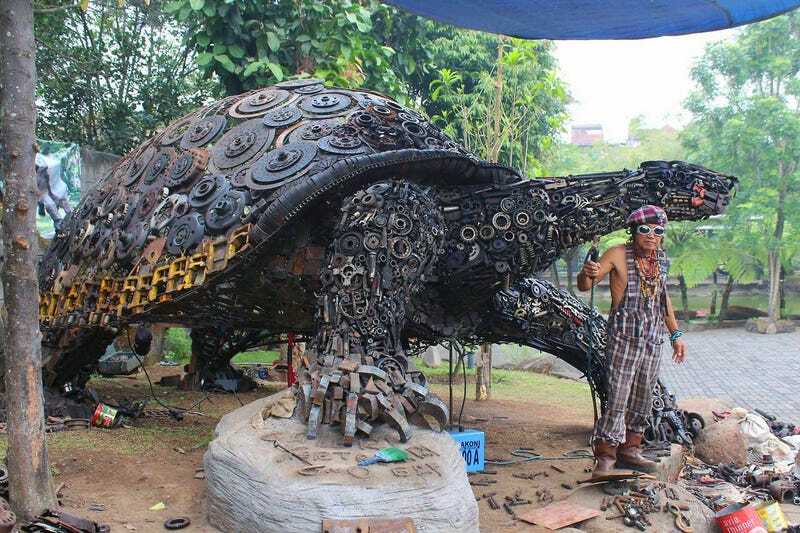 Indonesian artist Ono Gaf crafted this massive sculpture by welding together springs, cogs, coils, rotos and various other bits of metallic junk. The level of detail here is really something else. Check out more photos of the See installation by photographer Gina Sanderson here. Complement with Jeremy Mayer's typewriter part sculptures.